Nadine a parte, che è vista stazionare in Atlantico ancora per svariati giorni, secondo le ultime corse modellistiche, c'è veramente tanta carne al fuoco nel Pacifico. A Ovest il Tifone Jelawat è passato da Tropical Storm a Tifone di CAT3 nel giro di 12h scarse e ora punta la CAT4, ma potrebbe benissimo raggiungere la 5. Può giocarsela con Sanba per lo scettro di "Uragano/Tifone del 2012". Intanto il Super-Tifone Jelawat raggiunge la Categoria 5 (massima). E' il secondo Tifone a raggiungere la CAT5 dopo Sanba. 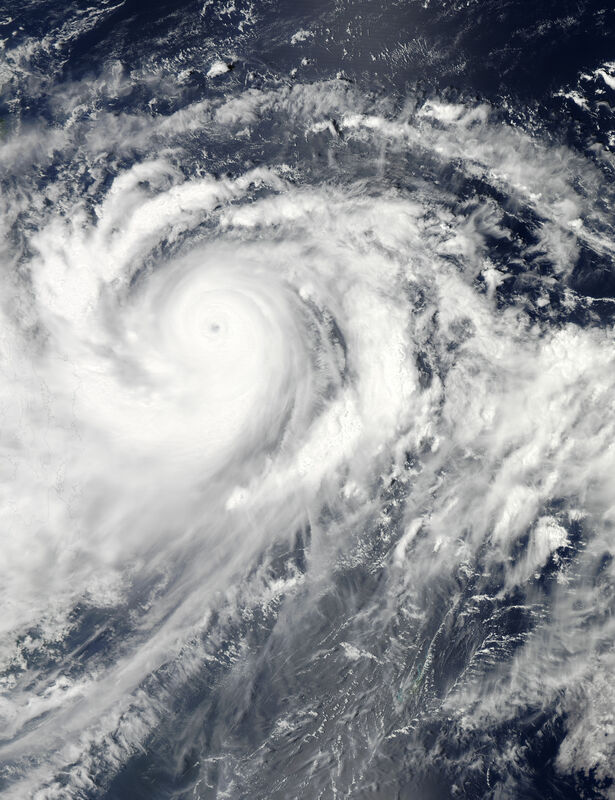 Citazione: Jelawat formed as a tropical depression over the western Pacific Ocean on September 20, 2012, and became a tropical storm the next day. It strengthened to a typhoon on September 23. 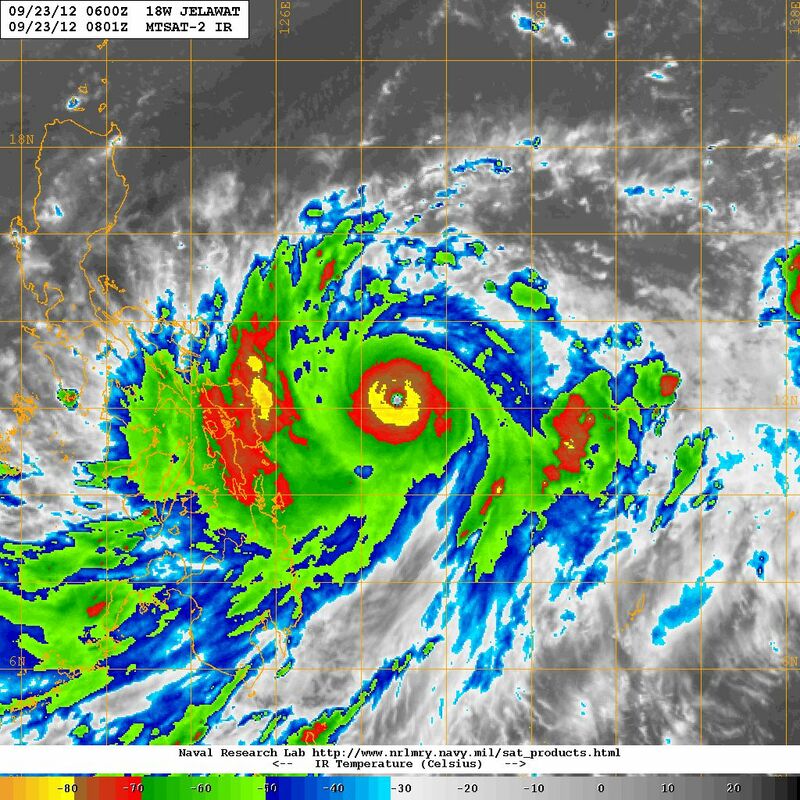 On September 24, 2012, the U.S. Navy’s Joint Typhoon Warning Center (JTWC) reported that Jelawat was located about 410 nautical miles (760 kilometers) east of Manila in the Philippines. The storm had maximum sustained winds of 130 knots (240 kilometers per hour) and gusts up to 160 knots (295 kilometers per hour). The Moderate Resolution Imaging Spectroradiometer (MODIS) on NASA’s Aqua satellite captured this natural-color image on September 24, showing Jelawat just east of the Philippines. 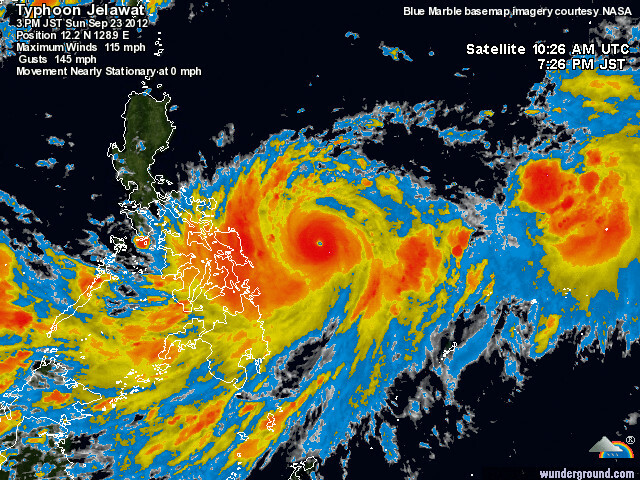 Sporting a distinct eye and spiral arms characteristic of strong storms, Jelawat spanned hundreds of kilometers. 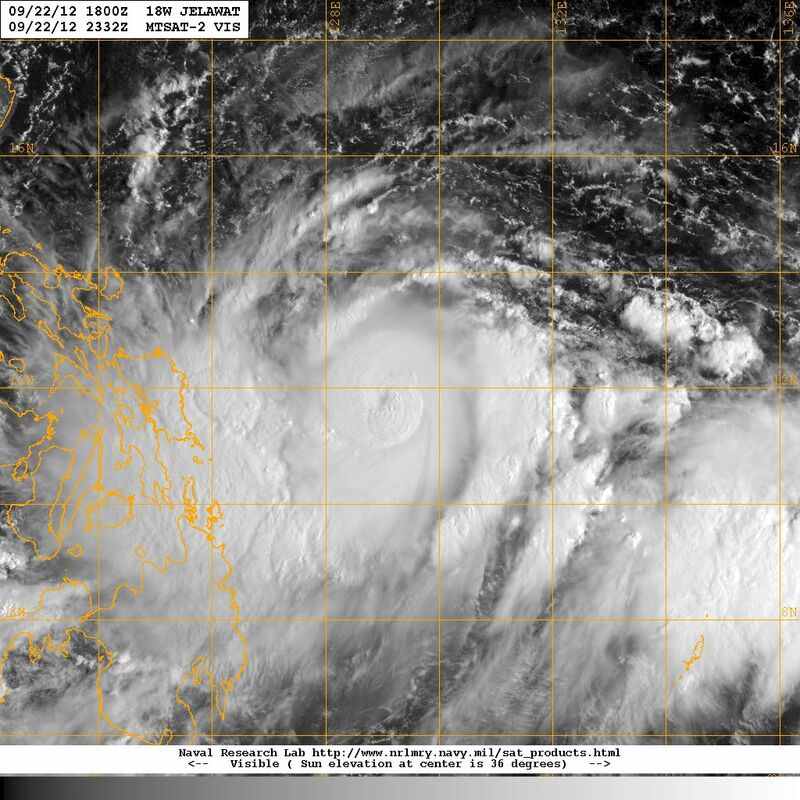 As of September 24, 2012, the JTWC classified Jelawat as a super typhoon. The JTWC projected storm track showed the storm moving toward the north-northwest over the next several days, passing near the island of Taiwan before turning toward the northeast. Joint Typhoon Warning Center. 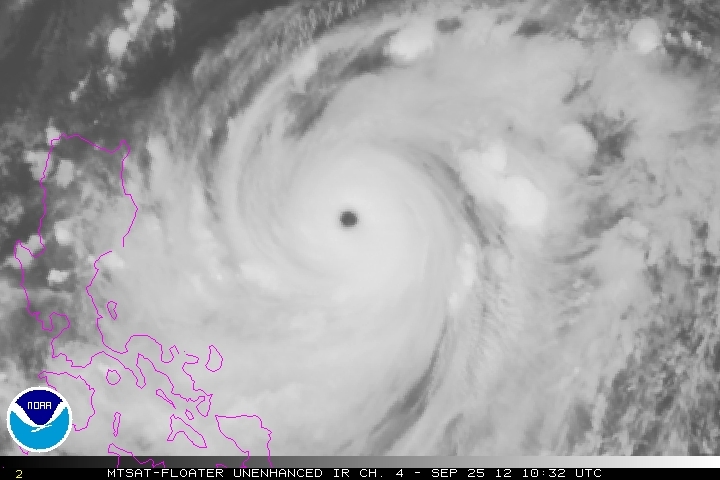 (2012, September 24) Super Typhoon 18W (Jelawat) Warning. [Online] URL: http://www.usno.navy.mil/NOOC/nmfc-ph/RS...812web.txt. Accessed September 24, 2012. Unisys Weather. (2012, September 24) Jelawat Tracking Information. Accessed September 24, 2012.